Police forces all over the UK are introducing mobile fingerprint equipment. Result? Approximately 20% of the criminals who would otherwise have been taken down to the station will now be asked politely to go on their way. That's what we were saying back in May. DMossEsq wrote to his MP asking about this matter. Would Nick Herbert, the policing minister, care to comment? Or the National Policing Improvement Agency (NPIA)? Could they explain why public money is being wasted on technology that doesn't work? And thanks to his MP an answer has now come through from Chief Constable Nick Gargan, Chief Executive of NPIA. Does Mr Gargan express confidence in the biometrics being used? No. Does he say that mobile fingerprinting will improve crime prevention or crime detection or crime clear-up rates? No. He doesn't disagree that there is a 20% failure rate associated with flat print fingerprinting based on the 2004 UK Passport Service biometrics enrolment trial. Rather endearingly – obviously a conservative man with a respect for tradition – he tries on the old line that the biometrics enrolment trial wasn't really a biometrics enrolment trial but it won't wash.
That high 20% failure rate in the biometrics enrolment trial was caused, he says, by using only a small sensor to scan people's fingerprints. That was then. Policemen on patrol are now being issued with so-called "Bluecheck" devices. And what do they use? According to Mr Gargan, only a small sensor to scan people's fingerprints. The technology has improved, he claims. Is the failure rate down from 20% to 2%? Or 0.2%? He doesn't say. All he says is that the technology has improved. An unsupported and unquantified assertion. "Finally and perhaps most importantly", Mr Gargan says, policemen on patrol can always ignore the Bluecheck results and take suspects down to the station anyway. The Home Office are investing your money wisely. You are much safer as a result. 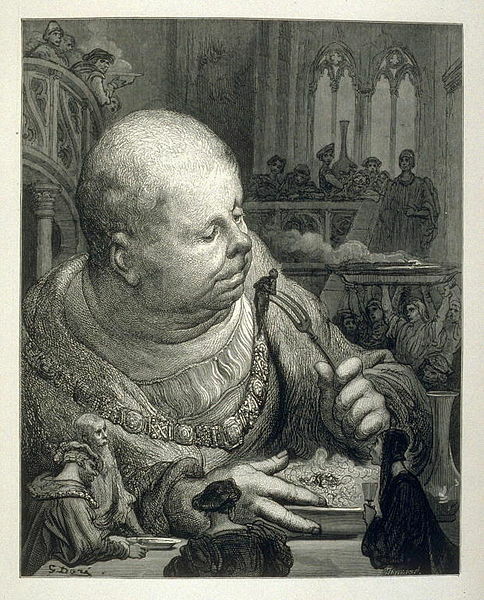 Given the choice of two giants, Gargantua and Pantagruel, the English choose one and the Italians the other. Whereas we might say in English that the scale of the deception being practised on the public by the Home Office is "gargantuan", for example, in Italian they would call it "pantagruelico". Not many people know that.